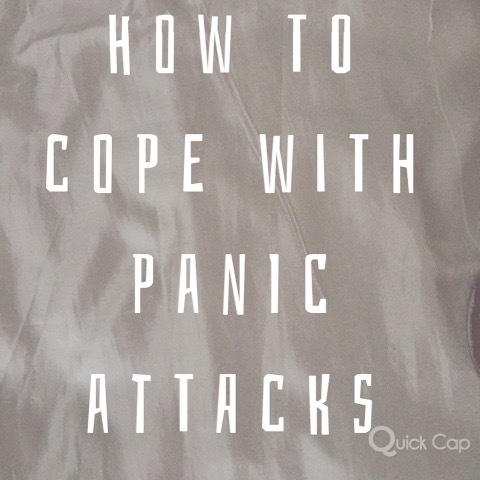 I had that feeling again, building up in my chest, feeling my heart hammering away and the anxiety building up as I realised it was another panic attack. My first memory of a panic attack was probably when I was 11. I’d just left school, the rain was hammering down it was almost like a monsoon. I started to feel panicked, then my heart started to race and I felt short of breath but I didn’t know why. I didn’t know it then but I came to realise in time this was a panic attack. They often come in the middle of the night when I’m snatched out of sleep to this instant grip of terror. As you don’t have any control in your sleep this is when it came seem the most terrifying. Often panic attacks can evoke the feeling that something far worse is happening. Your heart is beating faster than you’ve ever felt it. Anxiety builds so you start to feel sick, you wonder if you’re having a heart attack and if this is your final moments. Over time I started to recognise the symptoms and realised there was a way to cope. You don’t have to let the panic attacks win. Every time I started to get that racing sensation I would imagine I was in a race. I had 100m to go and my heart was pounding as I needed to finish first. As I envisioned that race and nearing the finish line I felt my heart start to slow and that’s when I realised I had the strength to overcome this. This strategy may or may not work for you, it’s not foolproof. It just goes to show you can learn how to cope with panic attacks. Nothing is unbeatable as long as you begin to recognise what it is and your method to face it.